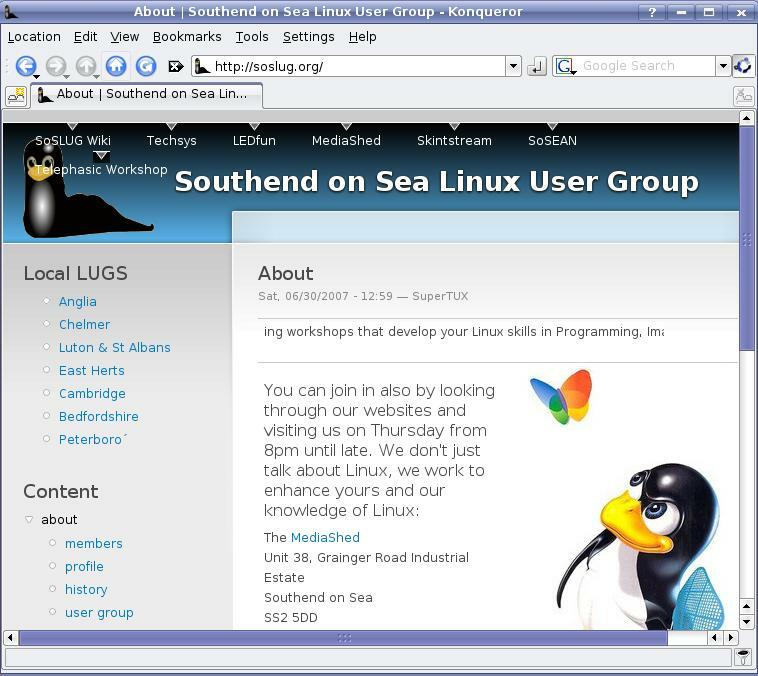 » Finding your way around Linux. Many new users give up unnecessarily quickly when trying Linux, because unfamiliarity sets in and it becomes difficult (different) to just do the normal things you take for granted in Windows®. The purpose of this contribution to our wiki, is to guide you through the first few steps, making sure you can use Linux with confidence. All of this piece is based on Kubuntu, but much of it can be applied to any Linux distro and particularly those that use the KDE desktop. In general, most users have pretty basic needs of an operating system. The ability to use the Internet and email, Instant Messenger programs and perhaps the occasional office duty; writing a letter for example. All these basic needs are well catered for and a lot more besides. You can see there are six major sections. In no particular order, the first is Home Folder. Click on this and you will see all the files in your /home folder; well not quite! Just like Windows, Konqueror chooses to hide system files and just like Windows, you can choose to expose them. Just go to View and click on the box that says Show Hidden Files. You will now see all the files in your /home folder. Clicking the Back button, will take you back to the previous page you visited. Next in line is Network Folders. This as you would expect provides access to networked shared folders and via Samba, to shared folders on Windows machines. there is also a handy little Add a Network Folder Wizard to help you in that task. Finally, down the left hand side is the Applications section, which when opened will display icons for all your installed programs (applications). Top right in the main section is Storage Media. This is an area that sometimes causes confusion, but in Linux relates to your drives CD/DVD and Hard Drives for example. Second down on the right is Deleted Items and just like Windows, you can restore files in here or permanently delete them. Just to reiterate, if you delete files via a command line, they are NOT sent here and are generally not recoverable. This Deleted Items folder only works with files sent to it via drop down lists, or dragged in. Finally down the right hand side is About Kubuntu on my system (as it is Kubuntu!). This is worth a read, as it provides basic information about the distro. So what has all this got to do with the Internet? As well as offering all the functionality mentioned above, it’s also a web browser. 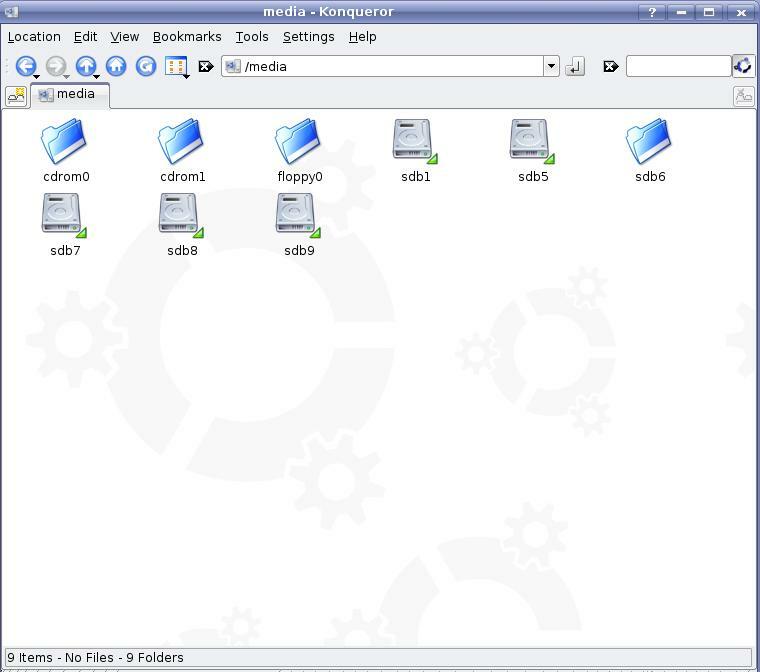 Using the address bar where your file paths would normally reside, just type in an Uniform Resource Locator (URL), in other words, a web page address soslug.org for example and you will be transported into cyberspace! Konqueror has just become the equivalent of Firefox in many ways and while it is adequate for surfing the Internet, dedicated browsers like Firefox, tend to have more functionality. Firefox of course can be installed on any Linux distro, (if it’s not already installed) via your favourite Package Manager. In Konqueror, you can also see a search box in the top right hand corner, which will search for you directly via Google.